The Land Celebration is a majestic 40-acre Re-Creational facility that is ready to host gatherings of all types. 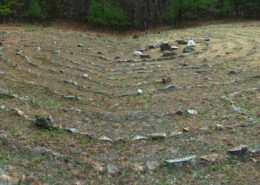 It is known for providing participants with the feeling of rejuvenation as they are being embraced by the serene environment at the foothills of the Blue Ridge Mountains in a true nature preserve. 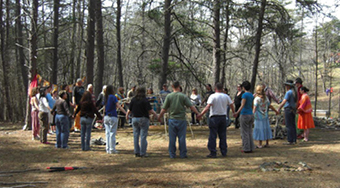 Many who visit here note that as they walk the property, they feel a strong connection to Mother Earth. 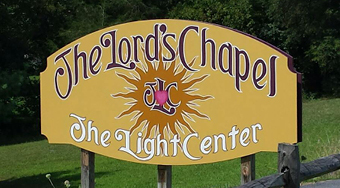 Guests have access to three ponds, wandering nature trails, various spiritual grottoes and meditation areas. 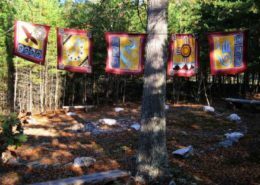 The land also features a sweat lodge, medicine wheel, fire circle and three stone-lined walking labyrinths to deepen the experience of those who visit the Land. In the Lodge, there is a large meeting room with a beautiful fireplace, with full view of the natural surroundings. This space can be used for a variety of offerings, including workshops, seminar and movement classes. Built on ground level, the Lodge is completely accessible to those with special requirements. 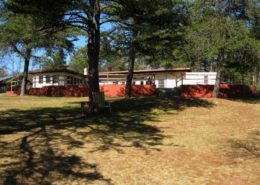 Those utilizing the Land will enjoy the spacious kitchen that is equipped for large groups, including restaurant-sized stove, ovens and refrigerator, and there is also a dining hall, with seating for 30 or more, overlooking the grounds. 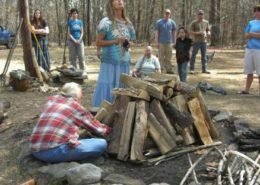 As well as accommodations in the rustic lodge or the main house, there are cabins, bungalows and camping, with outdoor showers, overlooking a pond for those who want to experience the land more fully.